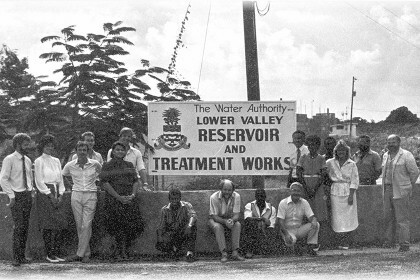 The Authority was established in 1983 with the passage of the Water Authority Law. In those early days, the Authority had a staff of five and offices in a Government-owned, three-bedroom house on Maple Road in George Town. Today, the Authority employs more than 100 people and supplies pure, wholesome and affordable drinking water to more than 17,000 customers.